It’s the age-old question: does red wine go with virtually every meal? The answer is subjective. There are people who never drink white wine so they would unequivocally answer yes. There are others who believe that the different flavors present in different culinary delights require different wines in order to enhance those flavors. Most people have a preference and tend to stick with it. People who like whites think that reds are too heavy while those who drink only reds look down at white wine as inferior. It’s not true of course, but perception is often reality. White wines tend to be lighter and some can be fruitier so people naturally think that drinking a Sauvignon Blanc or a Pinot Gris with a salad is the way to go. But red wines, while heavier in flavor, can also be just fine with a salad. Lighter varietals like Pinot Noir or Barbera can be just as perfect with lighter fare as a Chardonnay. If you’re still not entirely sold on reds with everything from fish to chicken to lasagna, consider this: Red wines have more studied health benefits than white wine. Because they’re fermented with their skins, they are packed with resveratrol, a powerful antioxidant that can help everything from your skin to your internal organs and even your brain. Resveratrol has been studied for its protective benefits to blood vessels as well as its ability to help eliminate blood clots. It’s also effective for inhibiting certain enzymes that can stimulate the growth of cancer cells, and according to some studies may help reduce the risk of type 2 diabetes. Other antioxidants present in red wine include polyphenols that can help reduce blood pressure and lower cholesterol, and flavonoids. In a study conducted with 2000 adults, researchers found that red wine drinkers appear to be more relaxed than white wine imbibers. Red wine drinkers tend to be happily married while white wine drinkers are happy to be single with 85 percent saying they’re not looking for a relationship. Red wine drinkers also enjoy spending more money, which is good because certain red varietals can be quite pricy. 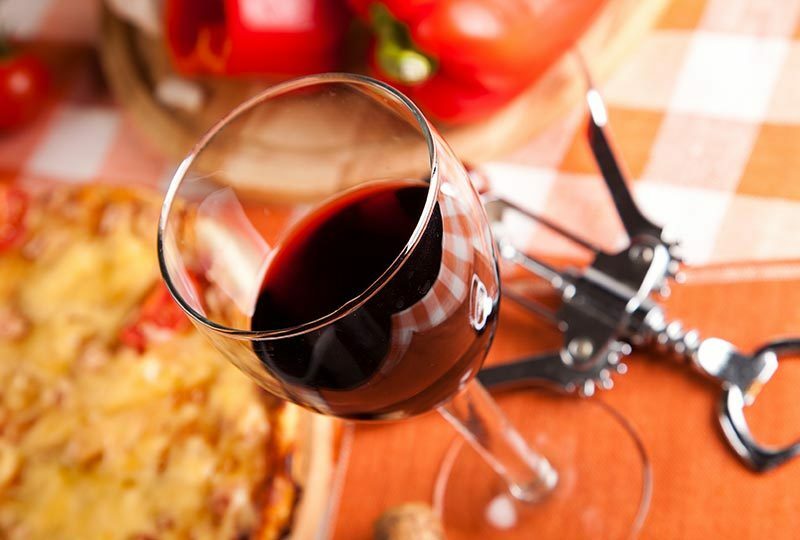 According to a recent report from Mintel, 71 percent of wine drinkers choose reds to drink with just about everything. That’s nearly 3 out of 4. Odds are pretty good that if you’re a red wine lover, you’ll find a way to pop the cork on a red that’s compatible with your meal as well as your palette. Cheers!